Allu Arjun’s son, Ayaan became the center of attraction at the audio launch of DJ. Now, his dad has revealed some more fun facts about him. 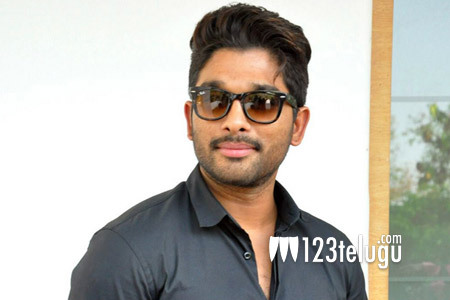 On being asked as to which is his son’s favorite movie of him, Bunny said that his son never watches any film and is only interesting in seeing video songs. Bunny made these comments in a live YouTube interview where he was promoting his film DJ. He also said that he is very humbled with the way his fans in Kerala have supported him and will do a straight Malayalam film only to please his fans. On the other hand, the ace actor said that he had to work very hard on his diction for one of his Brahmin roles in the film. DJ has caught on supremely well all over and it is the only big film that is being released after Baahubali. Harish Shankar directs this film which has Pooja Hegde as the female lead. Dil Raju is the producer.